LG V20 is a smartphone that has received most of its attention because of the simple fact that it is being touted as the first smartphone to come with Android 7.0 Nougat right out-of-the-box. Even though this claim by LG was never in doubt, the recent buzz about the upcoming phones in Google’s Nexus lineup took the attention away from the smartphone. Now, Google has confirmed on its official page for Android 7.0 Nougat that V20 will indeed be the “first new smartphone” to run ship with Android Nougat out-of-the-box. Even though it is not a very surprising announcement from the search giant, it does clear any doubt for a surprise launch of the Nexus smartphones before September 6 – the date the LG V20 will be launched. LG announced that the company will be launching the smartphone in South Korea on September 7, after the initial launch event in San Francisco a day before that. Interestingly, in its announcement teaser, the company has claimed that the smartphone will offer the “best video and audio experience.” This might indicate that the company has something special to offer in terms of audio and video with the LG V20. As for audio, earlier this month LG had revealed that the successor to the popular LG V10 smartphone will be packing a 32-bit Hi-Fi Quad DAC (digital to analogue converter) for enhanced audio playback. In the meanwhile, the company’s US Instagram account has also posted a picture and a GIF that suggest that V20 will have a similar dual-camera setup as seen on LG G5 and will also allow you to select particular parts of images that show motion. Another image on Instagram points to the presence of a secondary wide angle lens, once again pointing to a dual-camera setup similar to the one on the LG G5. To recall, leaked renders from earlier this month also tipped that the phone will be packing a dual camera setup, and feature a removable chin for modular accessories, just the like the G5. 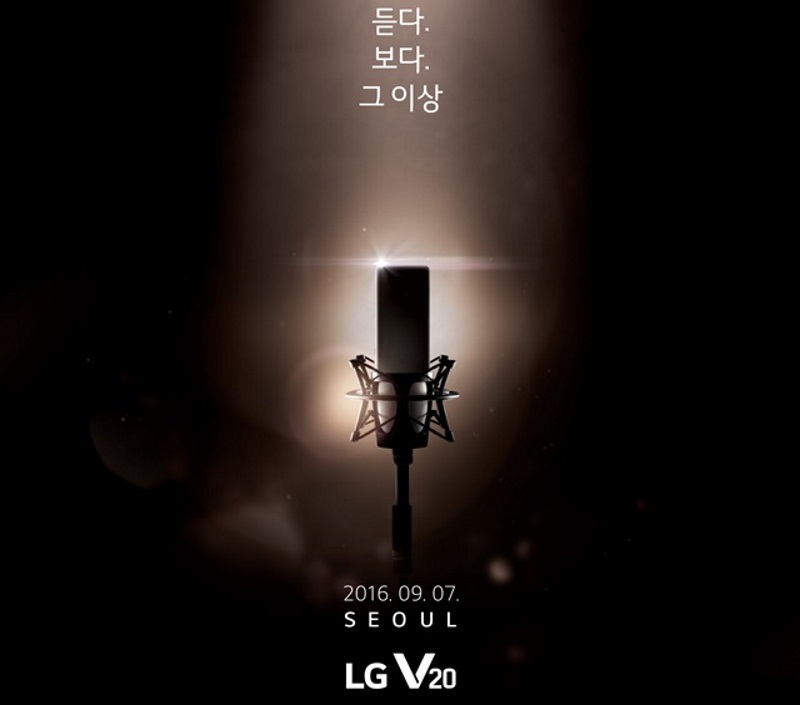 With all these pieces of information, it seems like LG V20 launch on September 6 might become one of the most anticipated events of the year.